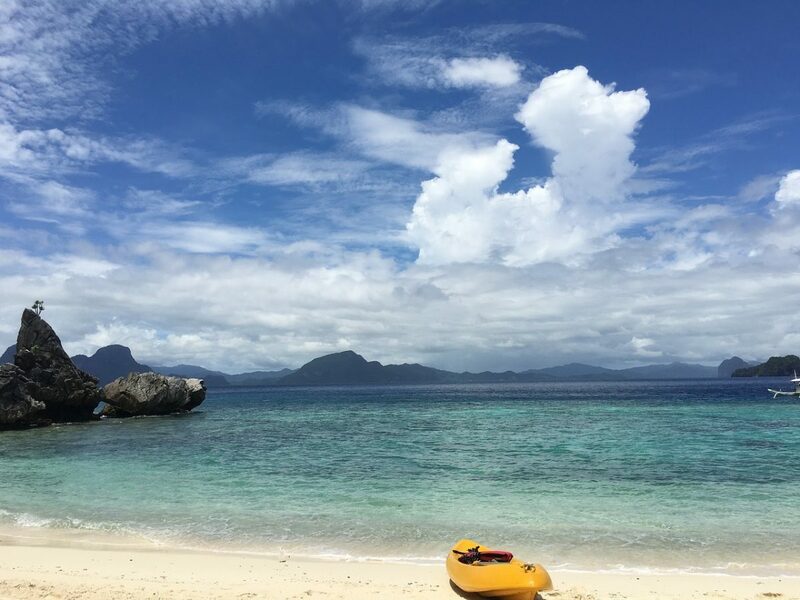 This is a guest post about the best things to do in Palawan from my travel lovin’ pals, Sarah and James, over at The Whole World or Nothing. Enjoy! Officially known as the Province of Palawan, this archipelago in the Philippines is regularly voted amongst the best islands in the world. With an abundance of tropical islands and defined by emerald-clad mountains jutting out of 50 shades of blue waters, it’s not difficult to see why. And then there’s the pristine beaches, rare wildlife, hidden waterfalls and some of the best dive sites around. Most easily accessed via a 90-minute plane ride or 23-hour ferry ride from Manila, this part of the Philippines is best visited during the dry season which runs October through to May. And from budget stays to more luxurious options there are plenty of Palawan hotels to suit any style of travel. Despite growing popularity amongst budget backpackers and luxury travelers alike, Palawan is still the most sparsely populated area in the region and is regularly referred to as ‘The Final Frontier’ or ‘Hidden Gem’ of the Philippines. 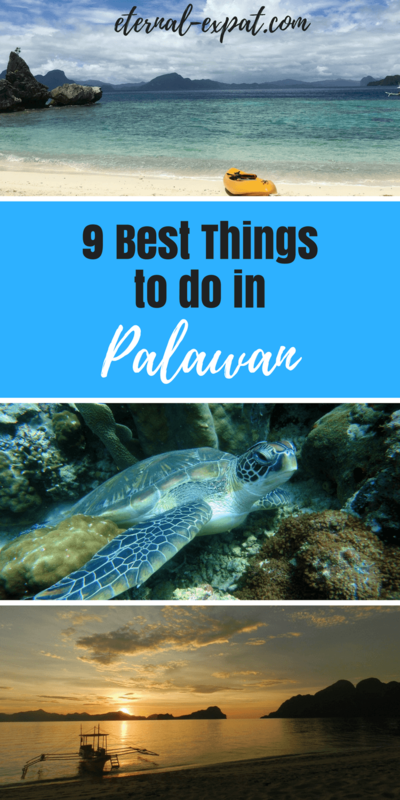 Let’s dive into the best things to do in Palawan. Let’s start big with what is often referred to as Palawan’s star attraction, the Bacuit Archipelago. From El Nido jump on a traditional Bangka boat, which is basically a cross between a canoe and a catamaran, and take off on an island hopping expedition. From lagoons, to sheer drop cliffs and sinkholes, there are so many highlights to this crazily picturesque part of the world. But perhaps at the top of the list is the ‘Secret Lagoon’ or ‘Secret Beach’. 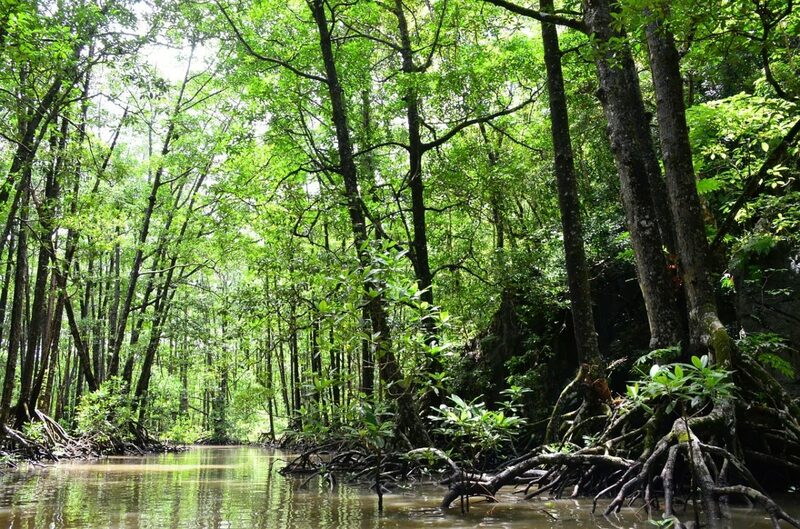 To access it you will need to swim through a small, hidden from view hole into what truly is a tropical paradise. On top of the abundant beaches on the smaller islands, there are also plenty of gorgeous beaches on the main island around El Nido. The peach colored sand of Buena Suerte Beach surrounded by towers of limestone formations is a sure favorite, as is the lesser crowded Marimegmeg Beach which is known for having the best sunset view on the island. Shrouded in mythology around how it acquired its name, Seven Commandos Beach with its cream sands framed by thickly vegetated cliffs is not be missed. Neither is the palm tree peppered Dolarog Beach and it’s unobstructed views of the horizon. 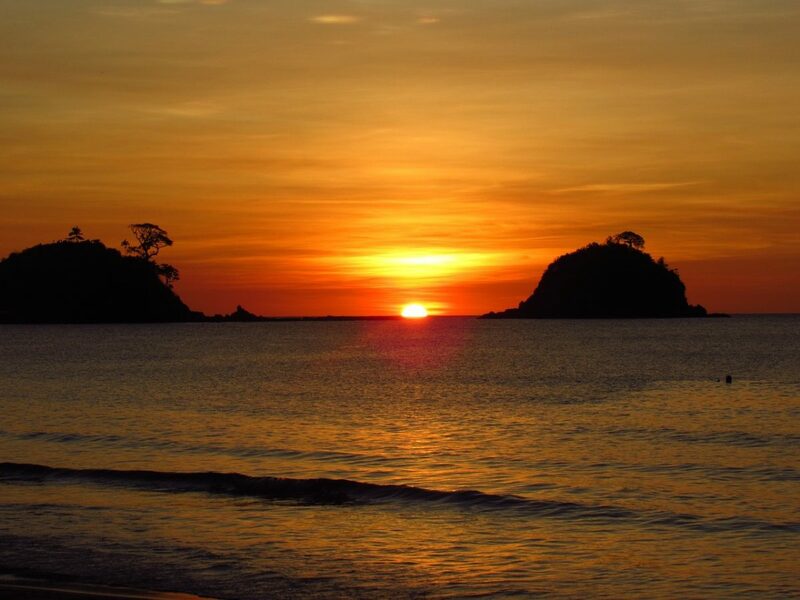 The best of the bunch, however, are the twinned beaches of Nacpan and Calitang. Climb the small hill at the end of Calitang for the best views over the back to back stretches of untouched sand. 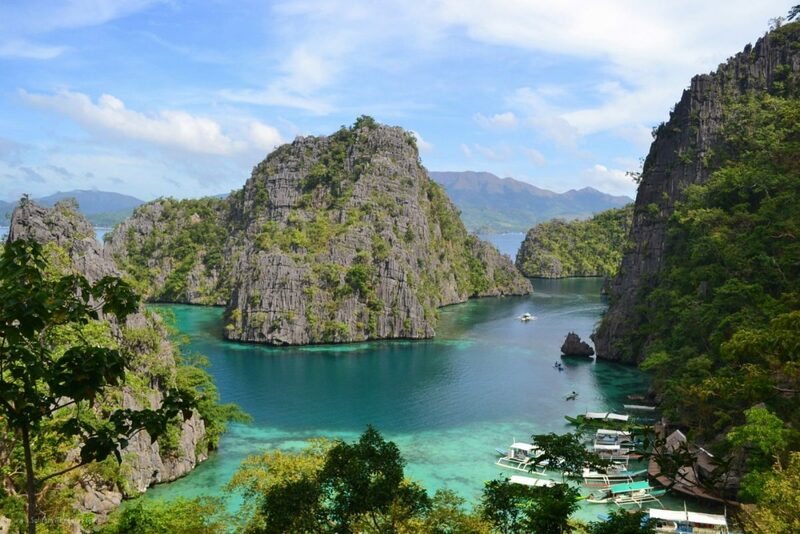 It’s simply a must see in Palawan. Diving in the Philippines is a must for underwater lovers. In Palawan, you can dive through the Barracuda filled, underwater Japanese shipwrecks of Coron Bay and experience something that is both eerie and exhilarating in equal parts, and for sure is one of the best things to do in Palawan. And don’t worry if you have never done it before, there are some top-notch dive schools on the island. Bugor reef is also a treat and holds an abundance of diverse marine life, including both hard and soft coral, eels, turtles and even a leopard shark if you are lucky. Seven Islands Reef and Kalambuyan Reef are also popular and have lots of colorful coral and vibrant fish. 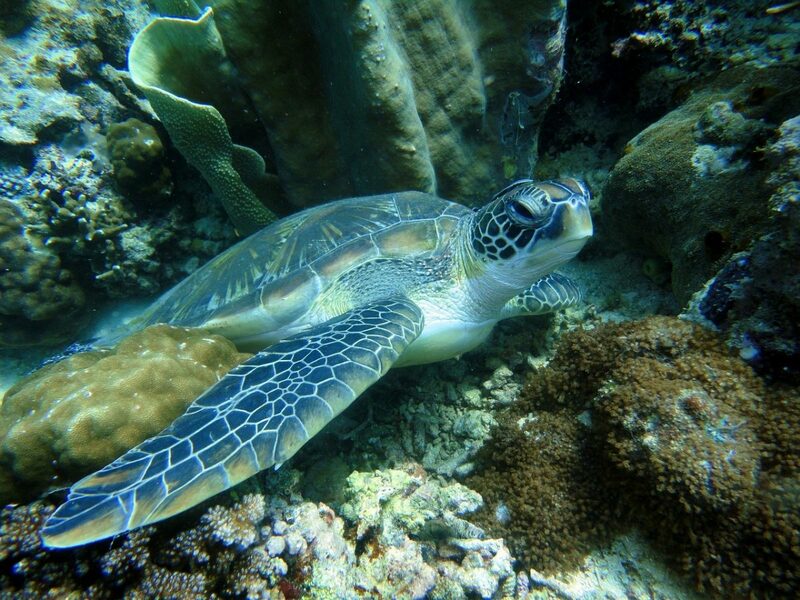 Even if you’re not into diving, there are equally incredible snorkeling experiences to be had. Exploring the underwater world around Coron should definitely be on your list of things to do in Palawan. One of the ‘New 7 Wonders of Nature’ the 8km Puerto Princesa Underground River is the world’s longest navigable underground river and is one of an incredibly unique natural phenomenon. Winding it’s way under St Paul’s Mountain Range, the river and accompanying pitch black caves make up a complex ecosystem. The jumping off point for this otherworldly experience is a lovely town called Sabang. Tours require permits and there is limited capacity so during busy season be sure to book a few days in advance. Top tip, don’t open your mouth when looking up or you might catch a bat poop surprise. Located on the south coast of Busuanga Island, the Maquinit hot springs are some of only a handful of saltwater hot springs in the world and make -up more unique things to do in Palawan. Water heated by a volcano rises up into a two-tiered circular pool surrounded by mangroves. It’s a gorgeous spot at any time but many say the best time to visit is after dark when you can relax with mother nature, gazing up at the billions of stars in the night sky. If you’ve trekked up nearby Mount Tapyas, this is an absolute must for soothing aching muscles. Said to be the cleanest lake in the Philippines, if not the whole of Asia, there’s one thing for sure, the crystal clear waters framed by the stunning surrounding rainforested mountains will amaze you. Being one of the most photographed spots in the Philippines it can get quite busy, especially climbing up the mountain to the best viewpoint. Below the surface, there is lots of interesting marine life and you can also dive here to get closer to the majestic underwater rock formations. This adventure isn’t for the fainthearted, but after a 5am start and a technically difficult climb over sharp rocky terrain you will be rewarded with a simply breathtaking view over El Nido Bay. Top tip, take a head torch with you to use before sunrise. Because the climb is exhausting and at times quite dangerous, you have to go with a guide, but it is also quite a short hike, around an hour up and an hour and half down. The trek goes so early because it’s just too hot any other time of day. For those who enjoy more active adventures during their travels this one of the best activities in Palawan. A series of three waterfalls cascading into fresh pools with a cool 4m cliff jump at the second one, Kuyawyaw Falls in Taytay should be firmly on your what to do in Palawan itinerary. To access the third 10m high waterfall you will need to pay a further fee to hire a guide because it is a steep climb, but it’s worth it. It’s around a 10-minute hike between the first two and 20 minutes to the third. 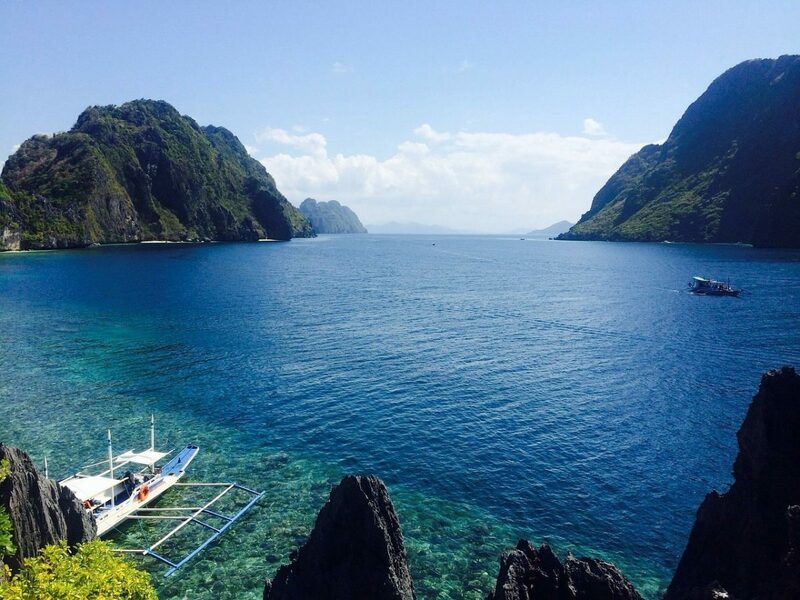 You can get there on your own steam via a 45-minute motorbike ride from El Nido or take a tour. There are also some waterfalls closer to El Nido, Nagkalit-Kalit waterfalls, but Kuyawyaw are way superior. Last but not least you can’t visit Palawan without sampling the delicious cuisine and nightlife along Rizal Avenue, the main drag in the capital of Palawan, Puerto Princesa. Enjoy local delicacies at any one of the street side grills over beers. Head to Kinabuchs Grill to try the oyster-like ‘tamilok’ (woodworm) if you dare, Tiki Restobar for live music, or Palaweno Brewery for some local craft beer if you’re looking for something a little quieter to do in Palawan. Have we missed anything? 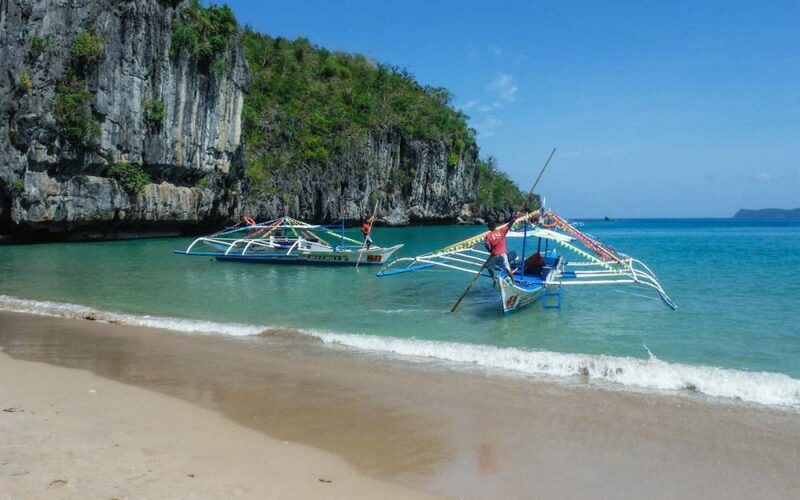 Do you have any other firm favorites for what to do in Palawan? About the Authors: James & Sarah of TheWholeWorldOrNothing are full time backpackers and part time thrill seekers. It all started with a conversation about wanting more from life and a desire to travel the world. Now they are living their dream and hope to inspire you to put your fears aside and go follow yours. Follow them on social media to keep up with their journey and awesome travel tips. Follow along on their travels over on Facebook, Instagram, Twitter, and YouTube.